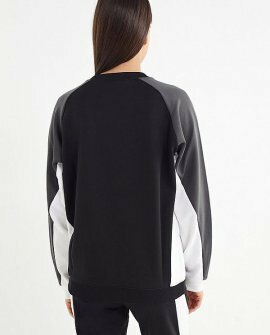 Colorblocked pullover sweatshirt from Nike in your favorite casual fit with raglan-style long sleeves. Ribbed banding at the crew-neck, cuffs and hem; branded graphic at the chest. Laid-back sporty style in this jogger pant from Ni..